The last day of Bike for Afrika would be a tough one. We needed to head back to Douala and that meant we had a looooong bus ride in front of us. Or at least that's what we thought. 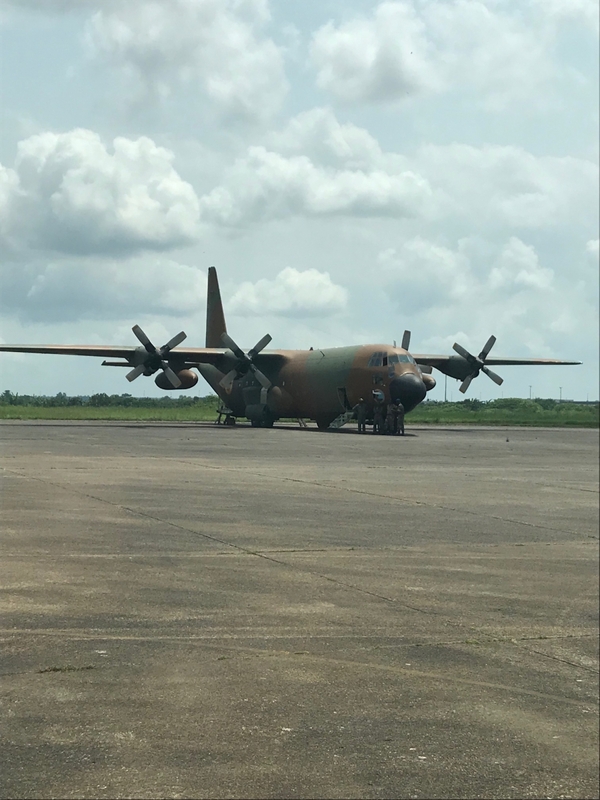 Because the day before we received a huge surprise: we wouldn't sit in the bus for 7 hours, but we would fly to Douala in a C130 of the army! We didn't see that one coming and everyone was super excited. When we arrived at the military airport we were all extremely impressed by the beautiful plane that was waiting for us. Happy as little kids we boarded the C130 and we all enjoyed the 30min flight, knowing that we would probably never get this unique opportunity again. 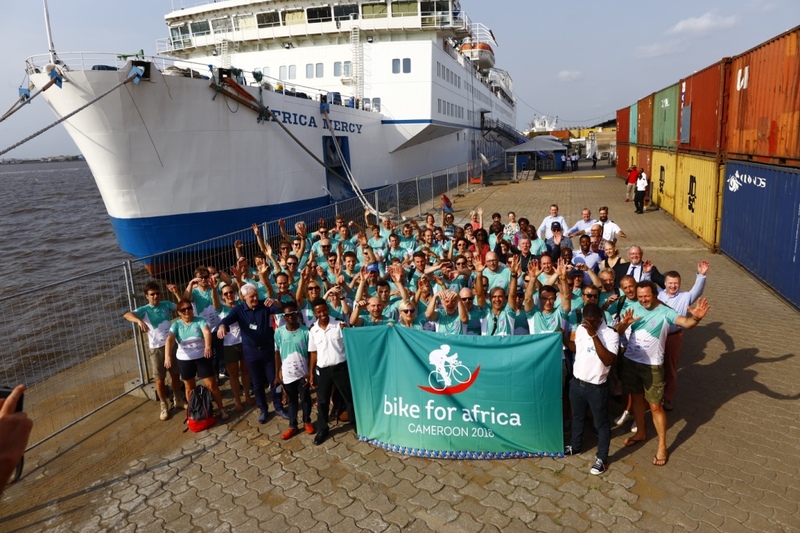 In the afternoon we visited the Africa Mercy, a floating hospital of Mercy ships, and one of the main good causes of this years' edition of Bike for Africa. 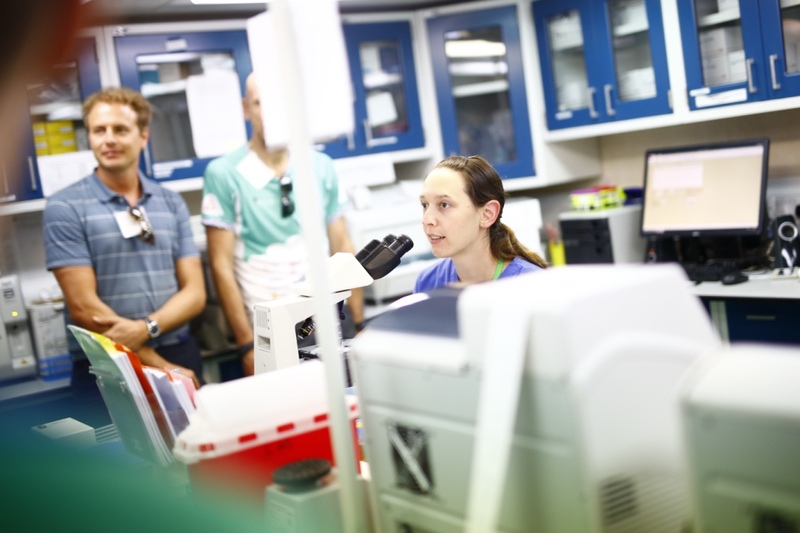 Mercy ships is a charitable organisation that offers qualitative healthcare to the poorest. The ship will remain in the harbour of Douala for 10 months, after which it will set sail to a different African country. They offer free surgeries and treatments, but they also train local people to do medical interventions. We were really impressed during the guided tour of the ship. 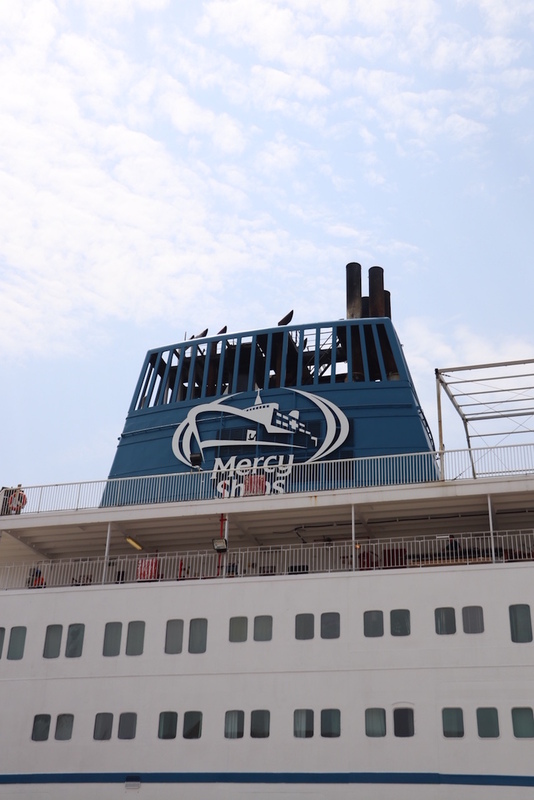 Not just bij the size (it has a whopping 8 decks), but mainly by the great work of the 400 volunteers of Mercy Ships. They work and live on the ship together with their families and they change so much people's lives! Thanks to our cyclists we could hand over a cheque of no less than €140.000, good for 70 life changing surgeries. We couldn't have imagined a better end of our Bike for Africa adventure then seeing the real reason we biked those steep hills in the heat for the last few days. Tired but satisfied we stepped back on the plane to return home with the most beautiful memories of a wonderful edition of Bike for Africa.